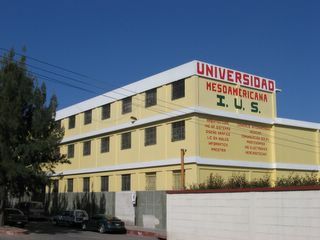 In January, Rob accepted a job as an English Professor at Universidad Mesoamericana, here in Xela. Four days before the start of the semester, they were so desparate for an English professor that they pretty much hired him on the spot - he just had to provide proof that he has a bachelor's degree (in Rob's case, an electrical engineering degree, for which he took a total of one English class in college). 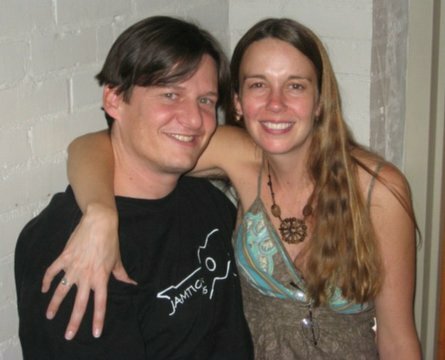 The job has turned out to be very rewarding on several levels, including monetarily - it pays more than 4 times what Rob was making before he started working there. Unlike typical universities in the US, Rob's university classes are in the evenings, because most university students here have to work during the day, so his mornings and afternoons are mostly free. Rob teaches several of his classes in the lower classroom in this photo. In the background is the Santa María volcano. In addition to the university job, Rob is also teaching kindergarten through 6th grade at the Guatemalan version of an elementary school. 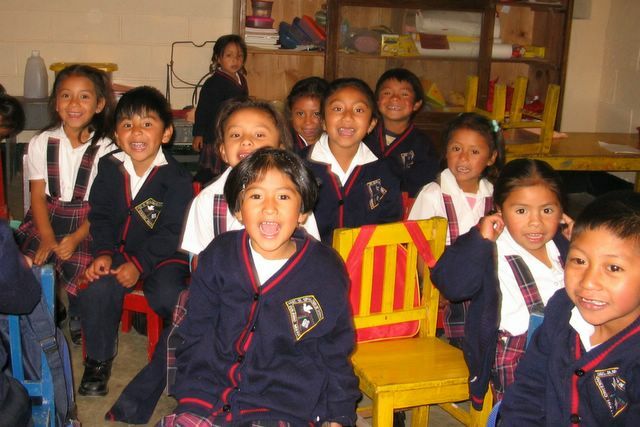 Colegio Señor Sepultado (pronounced "co-LAY-hio", this means private grade-school, rather than college, as you might expect) is a perpetually under-funded school whose base clientele are mostly poor indigenous people. The young age of the students has been a new experience for Rob, and considerably more of a challenge than the university job, since he he's had to develop disciplinary control measures without terrifying the kids. What's more, unlike the university students, the grade-schoolers seem to have no interest in learning. In order to keep their attention (for only 45 minutes for each grade), Rob has been trying everything under the sun; the most successful techniques have involved games, but even then it is a bit of a challenge to get them to remember anything! 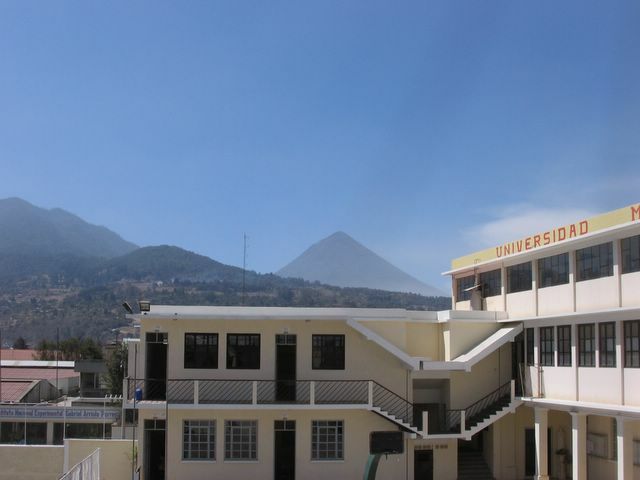 The school year in Guatemala starts in mid-January and goes to mid-October. Needless to say, with these 2 jobs, Rob has pretty much given up teaching private classes on the side.